MESSIAH'S BRANCH Ministries and International Radio: End Time Radio By Messiah's Branch - Drug-resistant superbug infections, the Border Children, Amazon the CIA and the Fire Device! End Time Radio By Messiah's Branch - Drug-resistant superbug infections, the Border Children, Amazon the CIA and the Fire Device! Drug-resistant superbug infections, the Border Children, Amazon the CIA and the Fire Device! 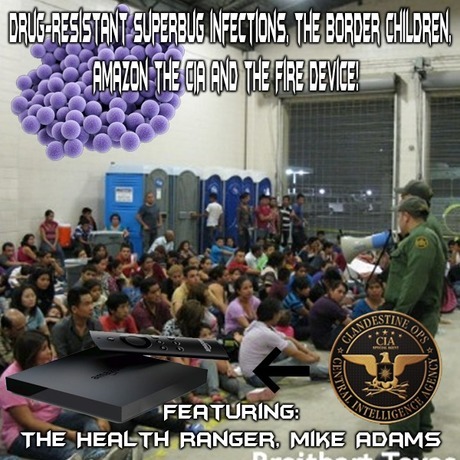 Mike talked about the illnesses coming across our border, super bug infections, the Amazon Fire device that records your voice and their connection to the CIA….all this and more on this MUST HEAR RADIO PROGRAM!